The word “timely” is well used against Tony Mitchell’s film Flood. With parts of the UK finding itself under water over the summer, the premise of this Canadian/British co-production, based on Richard Doyle’s novel, couldn’t have rung more true. When an unusually ferocious storm rages to the east of the British Isles and the ocean swells, London finds itself at immediate risk and is subsequently overwhelmed by floodwater. In scenes that would have done any number of Hollywood blockbusters proud, the terrifying situation is brought vividly to life on screen. 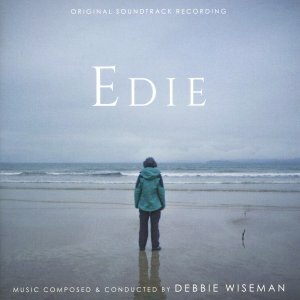 When I discovered back in January that Debbie Wiseman was to score this disaster epic, I was excited. Although she is well known for the beauty of her music, Debbie also knows how to let rip in the action/thriller stakes, something she revealed in her first class scores for Lighthouse and Arsène Lupin. Like the former, Flood is an absolute musical assault, but one that gets the pulse racing, rather than the skin crawling. A selection of motifs and figures make up the bulk of the score, dominated by brass and strings and with a modernistic beating heart, courtesy of some funky electronics and tympani. 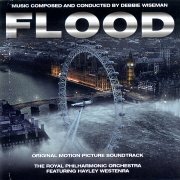 At the heart of the score lies a haunting lament, which opens the album (‘Flood’). Hayley Westenra is the featured soloist in the score and her ageless vocal stands out against the resonating, bellowing strings. The theme is a lamentation for a devastated city and its people, with an air of strength and triumph of spirit, perhaps brought about by a strong horn presence later in the cue. The theme is reprised at key moments, in varying guises, and these moments have the propensity to bring on goosebumps, so affecting is the performance by Westenra and the Royal Philharmonic Orchestra. From the second cue, the ironically titled ‘Granny’s Cottage’, all hell breaks loose and the wild ride of Flood gets into gear. The title suggests a sweet idyll, but that’s not the case; with a whoosh of electronics, the orchestra rages along with the water and key brass and string figures are unleashed. Debbie admits in the album-sleeve interview that she worked the strings ‘quite hard’ and that shows here with a racing, cascading string figure that becomes a mainstay of the album. The brass section work wonders too and they are one of the absolute highlights of this score, so urgent and unyielding is their presence. They transform the flood water itself into a classic movie monster, with ferocious growling horns and alike. This seemingly unstoppable barrage continues across many cues, with the composer introducing new rhythmic figures for strings and returning to them throughout. ‘The Raging Storm’ is a particularly exciting cue, among many, and ends with a persistently rising motif played out by percussion, brass and strings that gets a fuller rendition in ‘The Capital at a Standstill’. When the orchestra is given time to breathe, the score focuses in on the human story that runs amongst the chaos. These moments are given over largely to piano and woodwinds and are most evident in the cues ‘Personal Differences’, ‘Difficult Decisions’ and ‘No Way Out’. A highlight cue for me though is ‘Evacuation’, which begins with an orchestral rendition of the main lament theme and moves into a sad piano/woodwind refrain before the strings cry out in complete desperation; a moving moment indeed, but it’s not long of course before the water rages across the screen once again and these quieter, reflective moments are drowned out. I’ve been fortunate enough to have this music for a number of weeks and I have to admit it has barely been out of the CD player. While the action cues may be a little unrelenting for some, I can’t get enough of the adrenalin rush that comes from hearing this large orchestra take (and give) a battering; plus, the fact that the composer had only a few weeks to get this together makes the result all the more impressive. Once again Debbie Wiseman has created an immediate and affecting score, skilfully conceived and remarkably presented. 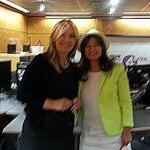 Copyright © 2019 DEBBIE WISEMAN OBE. All rights reserved.